What is the biomass pellets energy? Biomass pellets fuel can be used in power plants, residential heating, central heating for school, hotel, hospital, etc. 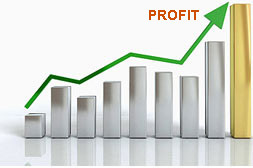 It is now very profitable to make fuel pellets. has the magic to make everything become magical pellets energy. 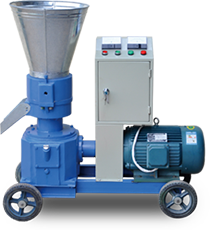 Anything you can think of raw materials, our biomass pellet mills can help you achieve the aspiration of pelletizing. Still hesitating? Act now, how amazing the biomass pellet mill is! straw pellet mills Straw pellet mills are used to ..
biomass pellet machine advantages A biomass pellet machine is alm..
Biomass pellets are made from various raw materials like saw dust, wood shaving, wood chips, alfalfa, straw, peanut shell, bagasse, bamboo, grass, rice husk, waste paper, etc. When the raw material biomass is fed into the pellet mill, it goes down between the pellet mill roller and die. By the pressing of rotating roller or rotating die, raw material biomass is extruded though the round die holes, and tight pellets are produced with high density, uniform length and smooth surface. Most biomass raw materials (exclude sawdust) that are larger than 5mm in diameter need to be crushed before pelletizing. For example, the crusher or hammer mill can make the long and large wood chips into diameter 3-5mm wood powder, which is the best size for pellet making. The moisture content is a very important factor that influences pellet quality. The best moisture content is 12%-18% for pelletizing. So if the raw material biomass contains too much moisture, a dryer is needed to decrease its moisture content. Otherwise the biomass will block pellet die holes and cause low forming rate. Some raw materials are pure, but others like sawdust may contain metal scraps or stones. If such impurities enter the pellet mill, they will no doubt cause damage to pellet mill roller and die, which in consequence increase production cost. So the unpurified biomass should be sieved before pelletizing. The data is updated on February 2014 From the above comparison, we can come see that coal is the cheapest fuel, but it harm the environment; natural gas costs cheaper that wood pellets, but it is non-renewable resource and some places do not have natural gas; hardwood is also cheaper, but is burning efficiency is low and it does take much room to store because of its low density. So biomass wood pellets are the most cost-effective fuel source. Why GEMCO is the professional biomass pellet mill manufacturer? Can do FREE raw material test for you. You just need to send your raw material to us, and we will find the best way to make pellets with it. Has professional QC workshop to strictly control the quality of every set of biomass pellet mill and every single spare part. 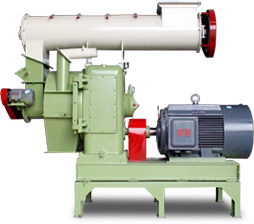 Can customize the pellet mill motor to suit your local voltage and frequency. You won’t worry about if it does not match your local electricity. Has whole-hearted service team to offer you most suitable complete pellet mill plans and considerate and satisfactory after-sales service. Can offer complete pellet mill plant installation and staff training to customers, so that your workers can operate the pellet plant correctly. Has experienced and skillful R&D team to keep improving the biomass pellet mills. Every pellet mill you buy from GEMCO is the latest wonderful model.